Heartpal is a formal banquet in the Spring. This year it is held at the Oklahoma City Music of Art on Friday, February 9th. 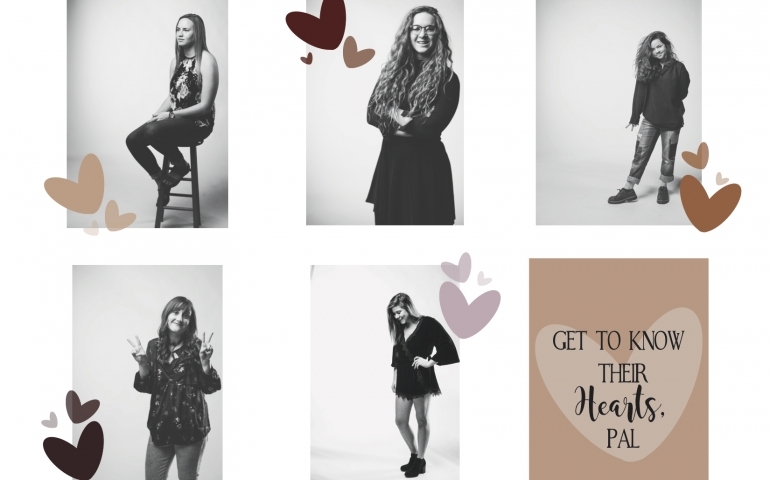 Five lovely women of the Junior class are elected to the Heartpal court by the student body. To some, it may seem to be a popularity contest, but after reading about our candidates, I hope you realize these girls are more than deserving of recognition. Julia Glidden is from Burleson, Texas and is the Daughter of CB and Becky Glidden. She is pursuing a degree in Social Studies education. She is a Junior RA to Freshman girls and says they have truly become some of her biggest blessings. Julia believes that serving means to completely put others before herself and lending a helping hand when someone is in need, but not waiting for a thank you. She barely has words to describe her thankfulness for her mentor Marian Redwine. “One time, when I was sick, she took all of my sheets home and washed them while I was in class..like what an angel…She has been there through some of the best mountaintop moments and some of my worst moments in the valley.” Her boyfriend, Carlos Anguiano, has also made a tremendous impact on her time here. “He has impacted me more than he will ever know. I’m just incredibly thankful for him. He shows me Jesus on a daily basis.” She is a firm believer in the calling on our lives to give without an expectation of reciprocation; to fully love as Jesus does Julia is honored and humbled for the opportunity to be elected to Heartpal court. “It is so sweet; so special. Tickets for Heartpal will be available in the Commons this week for students looking to go.